Since Amazon is not the most socially friendly website out there, would it be possible for Amazon and Goodreads to partner? 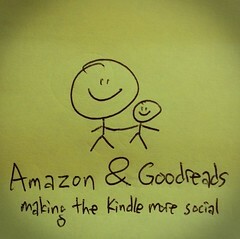 I’d love to have better social sharing abilities for highlights and notes on my Kindle books. This prediction has come true 293 days later. On March 28, 2013 Amazon purchased Goodreads.